Remodled two-story home with a gas fireplace, full porch, kitchen with an island, vaulted master suite, two car garage, full basement, patio, and a fantastic, well-landscaped lot. Great two-story home on a quarter acre lot featuring an open floor plan, cathedral ceilings, fireplace, full basement with bath rough-in, lovely front porch, loft area, breakfast bar, and a first-floor master with double sinks. Large, 2,656 square foot home on one of the largest lots in the neighborhood. Features an open floorplan, finished basement, bay window in the dining area, stainless steel appliances in the kithcen, first floor master suite with walk-in closet and double sinks, large deck, and a big backyard. If you are interested in any of these Spring Creek Pickerington Ohio homes, be sure to contact Sam Cooper, HER Realtors. 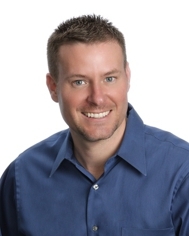 Sam Cooper is one of the top selling real estate agents in Pickerington, OH! Call 614-561-3201.